Apple will launch two new iPhone models with larger displays later this year, including one greater than 5 inches, and the company will subsequently discontinue the plastic-backed, mid-range iPhone 5c, according to unnamed sources who spoke with The Wall Street Journal. The alleged details on Apple's 2014 smartphone plans include a model with a screen larger than 4.5 inches, while a jumbo-sized iPhone will measure greater than 5 inches diagonally, according to Journal reporters Lorraine Luk, Eva Dou and Daisuke Wakabayashi. Both new models are expected to have designs akin to the iPhone 5s, while the plastic exterior used on the iPhone 5c will be discontinued, the report claimed. Both new larger iPhones are expected to debut in the second half of 2014, with the model in the 4.5-inch range already being prepared for mass production. The larger 5-inch model is said to be in "preliminary development," however. The report did not give any indication as to whether Apple plans to make a new flagship handset with a 4-inch display. Apple moved to a taller 4-inch screen with the launch of the iPhone 5 in 2012, and has not produced new handsets with the previous screen size of 3.5 inches. The report comes a day after analyst Timothy Arcuri of Cowen and Company issued a note to investors claiming that Apple has "locked down" the design of a new iPhone with a larger 4.8-inch display. He also expects Apple's next flagship handset, unofficially known as the "iPhone 6," to include speedy 802.11ac Wi-Fi. As for the iPhone 5c, Apple's plastic-backed, mid-range handset has been the subject of many rumors that have claimed the smartphone has sold below the company's internal expectations. 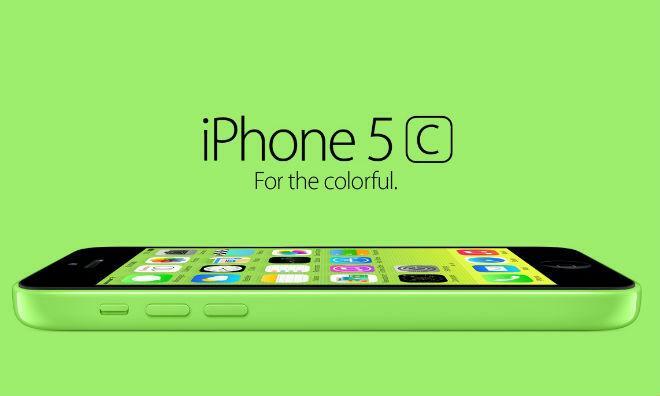 However, Apple does not break down sales of the iPhone on a model-by-model basis, leaving actual sales of the iPhone 5c to customers unknown. Originally, market watchers had hoped that Apple would price the iPhone 5c aggressively, allowing the company to combat low-end devices running Google's Android platform, which are particularly popular in booming emerging markets such as China, India and Brazil. But Apple instead positioned the colorful handset as a replacement for last year's iPhone 5, selling the device starting at $100 with a new two-year service agreement, or $550 without a contract subsidy.